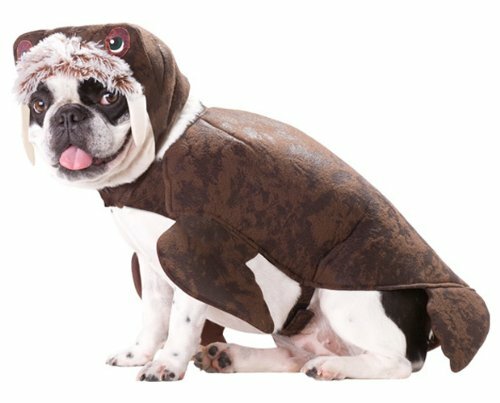 For that dog who loves to lounge around the beach. 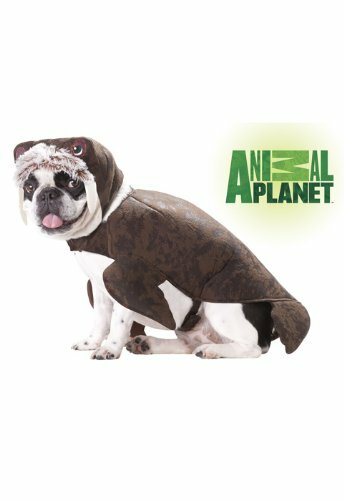 The Walrus costume comes with printed walrus headpiece with attached plush and foam padded costume. 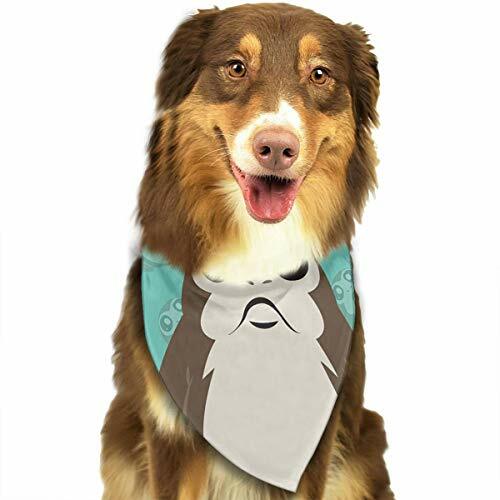 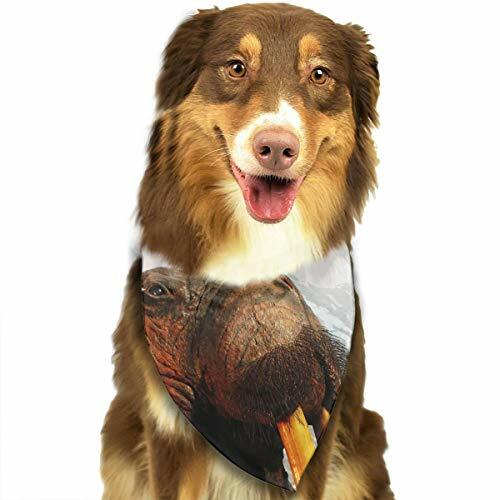 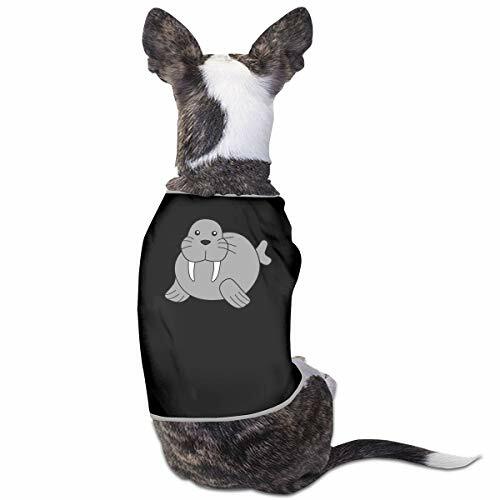 Dog Walrus Costume: Size Small 12"
One Dog Walrus Costume: Size Small 12"
Size:S-- Length 23cm/9.05"-- Bust 36cm/14.17"-- Neck 25cm/9.84"M-- Length 30cm/11.81"--Bust 44cm/17.32"-- Neck 29cm/11.42"L-- Length 36cm/14.17"-- Bust 47cm/18.5"-- Neck 34cm/13.38"
Material: 150gsm 100%Polyester,Length 27.5 Inch(70cm),Width 18 Inch(46cm).High Quality Material Of The Bandana Will Make Your Pet Feel Comfortable.Washable Scarfs Bandanas Can Be Washed By Hands Or Machine,soft Hand Feeling For Comfortable,easy To Clean.Soft Handfeeling For Comfortable.Manual Measurement May Exist A Few Difference, Please Allow 1-3cm In Size Variation.Our Pets Are Just Pets, They Are Family! 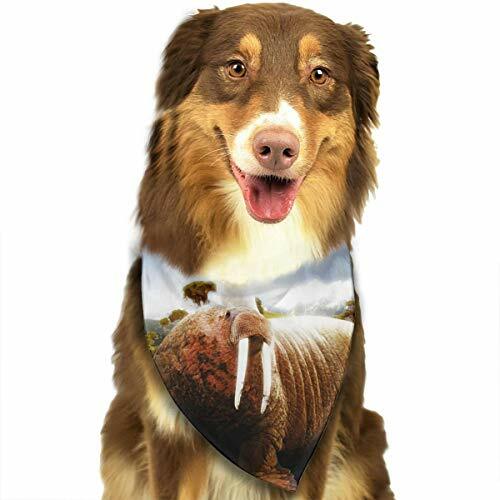 We All Know How Much Unconditional Love Our Little Best Friends Give Us, So Why Not Treat Them With An Accessory That Fits Their Personality! 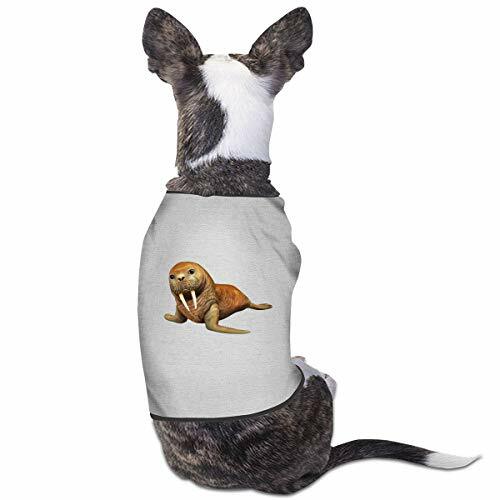 Basic Information:Name:Adidog Sweater Hoodie Condition:100% brand new and high quality Material:100% Cotton Colour:Red,Black,Pink,Dark Blue,Light blue,Yellow,Grey Size:XS：Length:16CM，Chest：27CM，Neck：20CM，Product Weighe:35g，Fit Weighe：Suggest 1-1.5 KgSize:S，Length:20CM，Chest：32CM，Neck：22CM，Product Weighe:38g，Fit Weighe：Suggest 1.5-2 KgM：Length:25CM，Chest：37CM，Neck：25CM，Product Weighe:43g，Fit Weighe：Suggest 2.5-3.5 Kg.L：Length:30CM，Chest：42CM，Neck：30CM，Product Weighe:60g，Fit Weighe：Suggest 3.5-5 KgXL：Length:35CM，Chest：47CM，Neck：33CM，Product Weighe:65g，Fit Weighe： Suggest 5-7.5 Kg2XL：Length:40CM，Chest：52CM，Neck：35CM，Product Weighe:80g，Fit Weighe：Suggest 7.5-10 Kg3XL:Length:45CM，Chest：59CM，Neck：40CM，Product Weighe:95g，Fit Weighe：Suggest 10-13.5 Kg4XL:Length:50CM，Chest：64CM，Neck：45CM，Product Weighe:100g，Fit Weighe：Suggest 13.5-17 Kg5XL:Length:55CM，Chest：69CM，Neck：50CM，Product Weighe:120g，Fit Weighe：Suggest 17- 20.5Kg6XL:Length:60CM，Chest：74CM，Neck：53CM，Product Weighe:137g，Fit Weighe：Suggest 20.5-24Kg7XL:Length:65CM，Chest：79CM，Neck：55CM，Product Weighe:150g，Fit Weighe：Suggest 24-28Kg8XL:Length:70CM，Chest：83CM，Neck：58CM，Product Weighe:160g，Fit Weighe：Suggest 28-31.5Kg9XL:Length:75CM，Chest：87CM，Neck：62CM，Product Weighe:190g，Fit Weighe：Suggest 31.5-35KgWe have fine workmanship and exquisite design.Keep the dog warm in cold weather with style and a sense of humor,makes your pet looks lovely and gentle, fashionable and different.Adidog Sweater Hoodie is a practical everyday jacket for cold weatherPackage Include : 1 x Pet Adidog Cloth The George - Girls' Short Sleeve Polo Shirt will make a great addition to your daughter's uniform wardrobe.This short-sleeved girls' shirt has a flat knit collar and cuff for a comfortable fit.